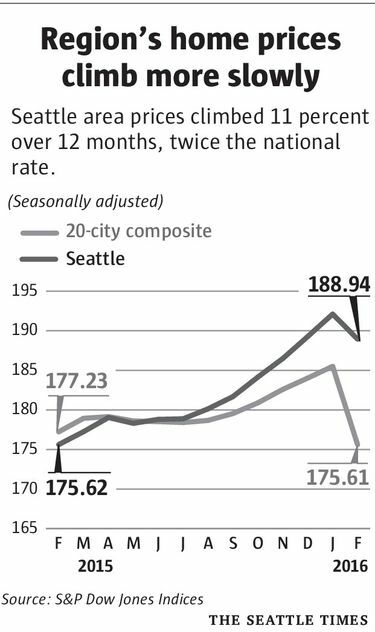 Seattle home prices in February jumped 11 percent year-over-year, compared with the 5.4 percent national rate, but price gains are starting to slow. 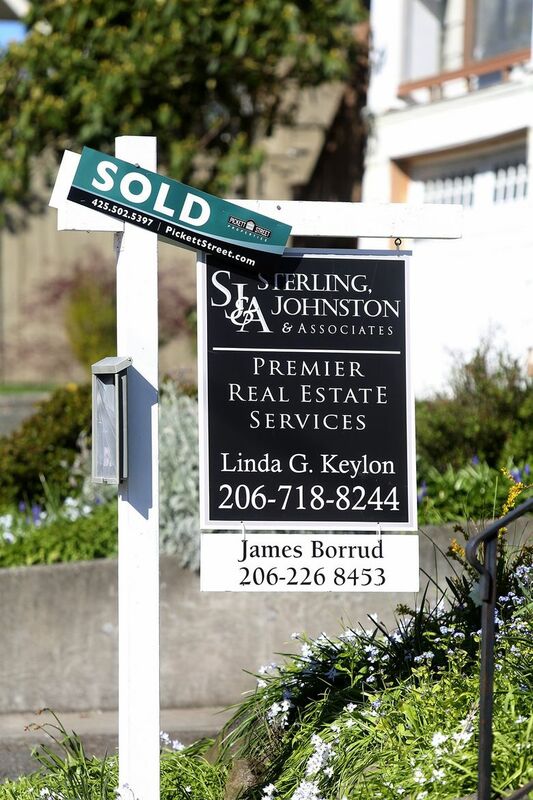 Home prices in Seattle continued to outpace most of the nation’s other top metro areas in February, jumping 11 percent year-over-year, according to the S&P/Case-Shiller 20-city index released Tuesday. The Seattle metropolitan area trailed only the Portland area, which posted an 11.9 percent leap in home prices. Other cities showing the highest year-over-year growth include Dallas at 9 percent, Denver at 9.7 percent, San Francisco at 9.3 percent and Tampa at 7.8 percent. Overall, the 20-city home-price index rose 5.4 percent in February compared with a year earlier. That’s down slightly from January’s 5.7 percent rise. Seattle prices grew significantly on a yearly basis but rose only a seasonally adjusted 1.3 percent from January to February, reflecting a broader trend of price growth beginning to slow. In January, the seasonally adjusted month-over-month gain was 1.5 percent. Across the country, prices are rising even as sales have leveled off in recent months. The number of homes for sale last month was 1.5 percent lower than a year earlier. That’s pushed buyers to act quickly, with homes on the market just 47 days in March, according to the National Realtors Association. As the spring buying season heats up, many entry-level and midlevel buyers will have a hard time finding anything in their price range. “The patience of many buyers will be tested in coming months,” Gudell said. The Case-Shiller index covers roughly half of U.S. homes. 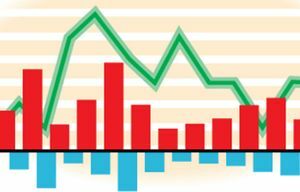 The index measures prices compared with those in January 2000 and creates a three-month moving average. The February figures are the latest available.